First introduced at the 1955 Paris Motor Show, the Citroën DS brand will celebrate its sixtieth birthday this year. 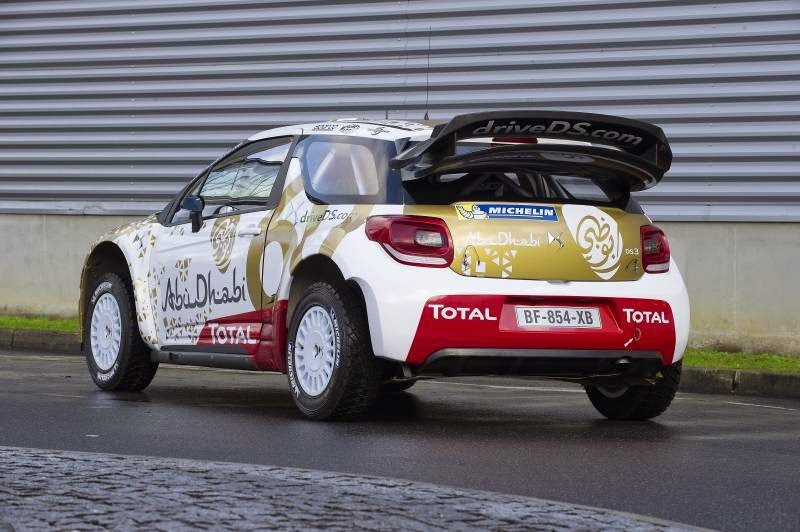 To mark this landmark anniversary, the Citroën Total Abu Dhabi WRT DS 3 WRCs will feature exclusive decals starting at this month’s Rallye Automobile Monte-Carlo. Retaining the familiar white, red and gold colour scheme, this year’s livery will incorporate an imposing ‘60’ spread across the rear wings. Two new ‘partners’ have joined the team for this season, Certina and Sparco. As part of the deal Sheikh Khalid Al Qassimi, Kris Meeke and Mads Østberg will wear Certina watches so keep an eye on Ebay just in case Kris runs short of drinking vouchers. Only kidding. 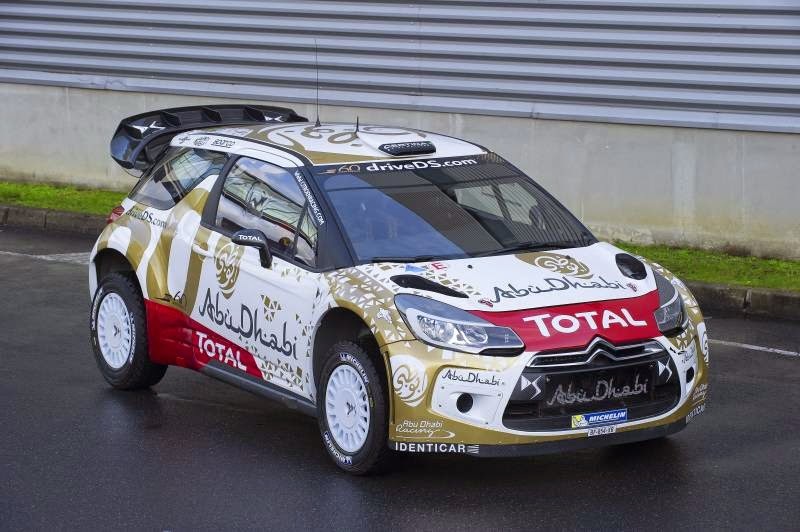 Sébastien Loeb, Kris Meeke and Mads Østberg have already spent a lot of time testing the 2015 cars ahead of the Monte.